My rabbit, bird, or the spasmodic cat. 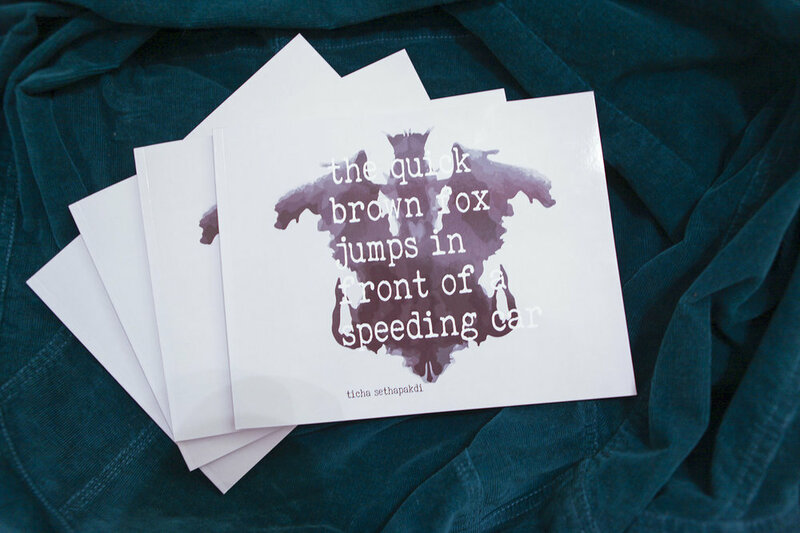 The quick brown fox jumps in front of a speeding car is a book about the fickleness of life and inevitability of death. 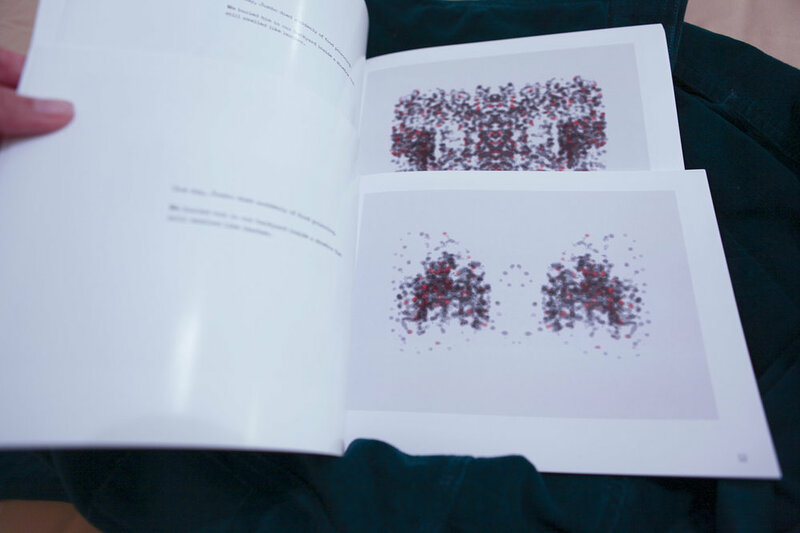 The images in the book are procedurally generated and every copy of the book is unique. This was made for Bob Bingham’s Environmental Sculpture class at CMU. I found inspiration for this book when I thought I saw the remains of a squirrel on the road only to realize that they were just pieces of trash. Dead animal bodies, remnants of lunch, oddly shaped rocks--become indistinguishable from the inside of a car moving at 30 miles an hour. We know our eyes play tricks on us all the time, though we rarely take a second glance when they show us not what we want to see, but what we are afraid of seeing. 100 images were scraped from Google Images using the search term 'dead animal'. Each iteration of this book selects a random subset of those images and processes them using a custom, randomized image manipulation method written in Processing. Inspiration was largely drawn from Rorschach ink blots.